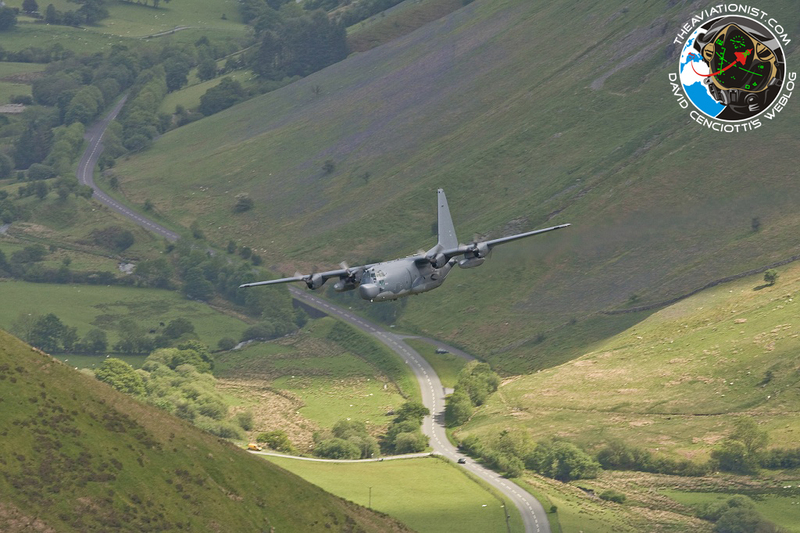 HomeMilitary AviationLow level flying in the age of stealth bombers and standoff weapons: welcome to the famous "Mach Loop"
Although it might be hard to believe, in the age of stealth bombers, standoff weapons, drones, cyberwar, electronic warfare, etc. low-level high-speed flying is still one of the most important parts of both planes and helicopters combat pilot training. Since a 20mm high explosive shell doesn’t care for stealth technologies a 5th generation bomber embeds, being able to approach the target shielded by the terrain is still as relevant today as it’s ever been. During the Cold War, Britain introduced the AVRO Vulcan, a big delta four engined jet which could cruise at 50,000 feet safe in the knowledge that it could not be reached quickly enough by any Soviet interceptors that was sent to shoot it down at such lofty altitudes. But Soviet fighter and anti-aircraft system development was such that, quite soon, the 50,000 foot ceiling wasn’t enough to provide the required security to the bombers and the engineers at AVRO had to go back to the drawing board and come up with a solution to keep the Vulcan on top of its game. This particular headache fell to an engineer called Stuart Davis who had the unenviable task of improving on Roy Chadwicks 1946 design. However, it wasn’t just a case of fitting more powerful engines as the engineers found over that the jet had issues with flutter over the wings surfaces at certain speeds: to fly higher, new engines had to be developed and the flutter issue resolved. The solution was found by introducing a kink in the leading edge of what was a pure delta design, along with an increase in wingspan by 12 feet. These improvements along with a state of art jammer again put the Vulcan out of reach of Soviet fighters by having a 60,000ft ceiling, only surpassed by the famous U-2 spyplane (still flying for a few years to come). An event took place that totally changed the mindset that the RAF had at that time and that was the shooting down of the U-2 piloted by Gary Powers. No longer was the bomber out of reach of Soviet SAMs so another method of delivering its nuclear payload had to be found. The best way to penetrate the enemy airspace avoiding detection by the opponent’s air defense system, was to fly at tree top height then to pop up to medium altitude to release the weapons. Britain’s nuclear deterrent at that time was carried by three 4 engine bomber types: the Vickers Valiant the Hadley Page Victor and the AVRO Vulcan. Interestingly, the low level maneuvers in the thick air played havoc with the Valiant and Victor: the Valiant was found to have serious cracks in its wings from all of the stresses of low level flying and was removed from service, the Victor also had issues and was removed from the bombing role and modified for the tanker role which saw its active service out. The Vulcan by its design had no such issues and was regularly seen practising low level flying. Low level flying is quite demanding because of the risk involved with flying at high speeds few meters above the terrain. 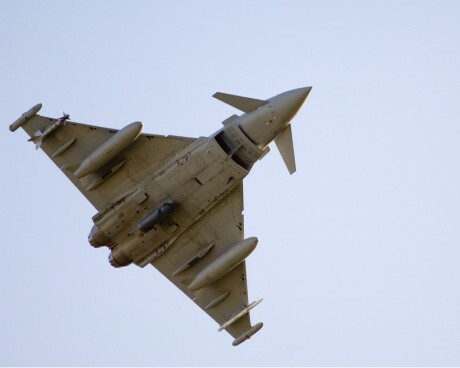 To enable its crews to train as realistically as possible, the RAF had to find somewhere where all types of attack aircraft could fly fast and low. Some unpopulated areas of the UK were selected and given the designation ‘Low Flying Area’ (LFA). The most used were LFA-14 (Scotland), LFA-17 (Lake District) and LFA-7 (North West Wales) and the limit to how low the pilots could fly in these areas was reduced to 250 feet. LFA-7 has a series of valleys that allows the pilot to do circuits or to leave this circuit at any point (usually due to low cloud). 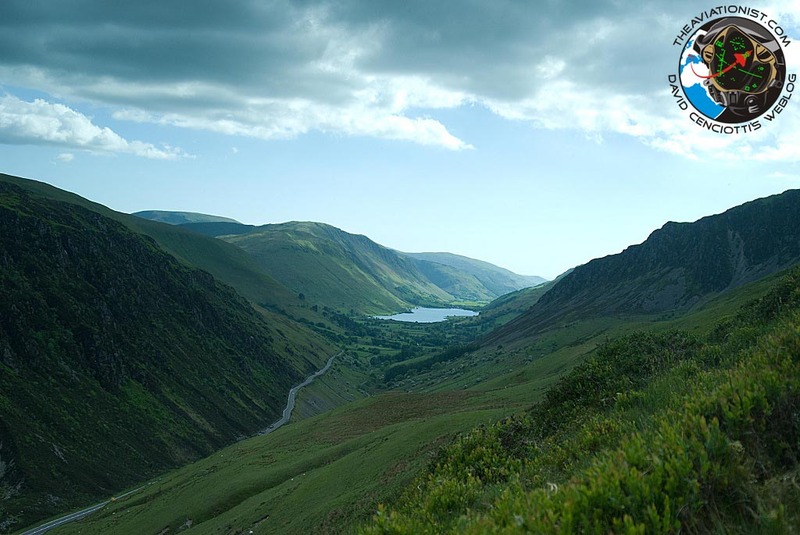 The valleys are lined by steep sides with mountains either side rising to around 1,000 metres the highest in the chain being Snowdon (1,200 metres). Although not high in the Rockies or Andes scheme of things these mountains provide a very challenging training environment for pilots. LFA-7’s valleys were too narrow and tight for aircraft the size of the Vulcan but Hawker Hunters were numerous and after several near misses with aircraft doing circuits in different directions, the valleys were flowed so that all pilots had to do the circuit anti-clockwise making the area safer. The area was then home to F-4 Phantoms, Sepecat Jaguars and Harriers. Later along came the Panavia Tornado and currently Eurofighter Typhoons and even C-130J Hercules can been found flying down low and dirty. The most numerous aircraft type to be found currently is the Bae Hawk T Mk1 or Mk2 flying from RAF Valley (only a few minutes flying time from the circuit), fast jet pilots flying in the RAF and a number of other Air Forces temporarily or permanently based in the UK, as well as U.S. AFSOC planes from RAF Mildenhall. UK aviation enthusiasts have nicknamed LFA-7 the “Mach Loop” after the small town at the circuits’ most southern point: Machynlleth. The area has become popular with photographers from all around the world and some stunning photos have been taken with not only the RAF types but also USAF aircraft using the “round-a-bout” (as they know it). Quite often other airforces can be found on detachment and the French Air Force usually makes one or two visits a year and even the Belgian Airforce have visited with their F-16s. Among the most frequent visitors of the North West Wales valleys are the F-15E Strike Eagles from RAF Lakenheath. Every now and then, aircrews “send” local spotters some messages as well. These low flying areas have trained the RAF’s pilots for combat. During Gulf War 1 Tornado and Jaguar pilots were tasked with taking out Saddam’s airfields and in the case of the Tornado the aircraft were so low many pilots reported scrapping their wing tips on the runway whilst evading anti-aircraft fire. The Tornado used the JP-233 runway denial weapon (now banned by the UN) which meant the aircraft had to fly at night at 50 feet above the runway to lay the parachute retarded mines. However, that ultra low level flight exposed the Tornado to the anti-aircraft barrage fire and later on in the conflict the bombers flew medium altitude sorties (above the Iraqi AAA reach) using Paveway laser guided munitions that were buddy spiked by the then very long in the tooth Blackburn Buccaneer (itself an attack aircraft) which carried a laser targeting pod. More recently, the low flying training that the C-130 Hercules pilots had undergone in areas like LFA-7 came in handy when they were tasked to rescue oil workers that were trapped in Libya. The C-130s took off from the airport on Malta and flew over the Mediteranean, called Tripoli air traffic control, explained who they were and what they were up to, they got no reply from the controllers, therefore continued at low level once over the desert and in hostile air space. 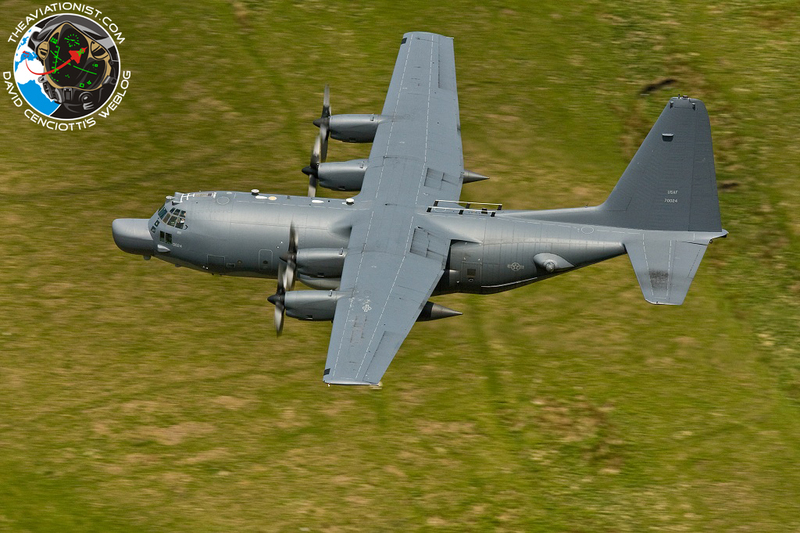 Once all the oil workers were picked up (in more than one location) footage was shown on TV in the UK of the Hercules leaving the small remote airfield and the pilot was seen to leave the runway and immediately retract his undercarriage gaining very little height once out of the danger zone the aircraft rapidly gained height out of range of small arms. In recent years LFA-7 and the other low flying areas have seen a reduced level of traffic due to operational commitments but the the need for low flying is as great now as it was during the Cold War. The fact that most recent scenarios, in which the combat planes could quietly operate at medium or high altitude with stand off weapons, because of the lack of anti-aircraft threats, doesn’t imply there’s no longer need to to train for flying at low level. To be able to fly at less than 2,000 feet can be useful during stateside training too, when weather conditions are such to require a low level leg to keep visual contact with the ground and VMC (Visual Meteorological Conditions). Aircraft involved in special operations, reconnaissance, Search And Rescue, troops or humanitarian airdrops in trouble spots around the world may have to fly at low altitudes. Even a stealth plane (or helicopter), spotted visually by an opponent, could be required to escape at tree top height to survive an engagement by enemy fighter planes or an IR guided missile.